The tractors play an important role in the United States of America, where these are employed in activities which generate income that allows millions of people to feed and clothe. There are quite a few names of tractor manufacturers, such as Ford Tractor, Farmall, Massey Ferguson, Minneapolis-Moline, John Deere, International Harvester, Massey Harris, White, Allis Chalmers, Oliver, David Brown or Case. No matter what one chooses from all these, there is an important role played by the tractor rims. The best place to get new tractor rims is not always tractor supply stores, but also the internet or organized farm auctions. The internet is maybe one of the best places for searching and buying such parts, Ebay being one of them, along other tractor suppliers’ websites. As compared to the off-shelf components, the ones bought online or following an auction can be consistently lower in price. There are several types of rims with different functionalities and purpose. For example, a split rim is composed of two pieces, which allows the replacement of the inner tubes to be made easier, due to them coming apart easier than just as one piece. An adjustable rim allows the driver to choose between greater level stability and better maneuverability, depending on the type of the operations needing to be carried out. The internet rim shopping has its advantages. Besides the possibility of reading other users’ reviews concerning a specific rim type, one can also check the compatibility of the rim with a particular set of circumstances or specific tractor brands. Particular types of rims may be recommended or not recommended for specific tractors. Besides buying what’s right for your tractor, the online research and buying can save not only time and unwanted technical issues, but also a lot of money. 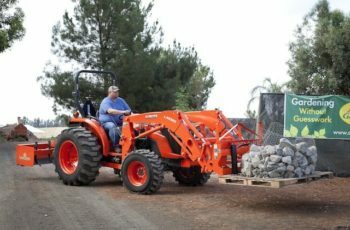 Depending on the type of the tractor, the main purpose for which it was built, the type of tires the tractor is using, the activities the driver wants to use it and, of course, the personal preferences of the driver can lead to one rim brand or another, gaining time and cost efficiency. The rims for a tractor are a long term investment, because they are built of solid materials allowing them to be used in heavy duty activities and exposed to huge workloads. Not always important to owners, the color of the rim may vary between silver, black and yellow. Everyone needs to understand that rims are a very important element of the tractor and depending on their condition the tractor may function good or worse. 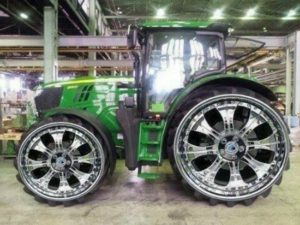 In this respect, buying the compatible rims for your tractor and activities is a very important thing. It may take some while to compare the prices and specifications for different types of rims, as well as between different sources of buying them, be it physical supply stores or the internet, but this is worth every minute because it will lead to buying the best quality rims for your business. 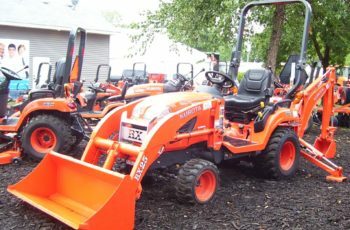 As time passed, more and more tractor parts retailers appeared on the internet, which lead to competition and better prices for the end users.